October 9, Mozyr activist Uladzimir Tseliapun appealed to the Mozyr Inter-District Prosecutor’s Office asking to assess the legality and validity of the judgment on his complaint. 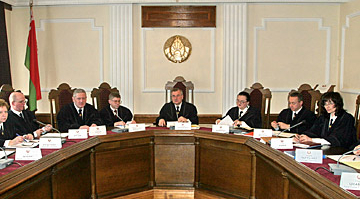 The reason for the appeal was the doubt that the judgment issued by the Mozyr District Court was competent, fair and impartial. On September 10, the Mazyr District Court held a preliminary hearing on the appeal of a human rights activist Uladzimir Tseliapun against the decision of the Chairman of the Mozyr District Executive Committee Siarhei Hvozdz and his deputy Feliks Haliuk to ban a picket organized by him. Applications for pickets for release of political prisoners, filed by human rights activists within the framework of the Day of Solidarity with Belarusian civil society, were turned down by the local authorities in Navapolatsk, Vitsebsk, Homel, Mozyr, Rechytsa, Zhodzina, Barysau, Baranavichy, Smarhon and Mahiliou. Human rights defender Uladzimir Malei applied to the Mazyr District Executive Committee to hold a picket in support of political prisoners on August 3. On 6 September Mazyr-based human rights defender Uladzimir Tseliapun received an answer from the Mazyr District Executive Committee to his repeated request to authorize a picket in support of Ales Bialiatski. Youth movement in trouble left to itself? According to www.by.milinkevich.org, Mazyr town authorities refused to facilitate the search for a legal address by the Young Front youth movement, saying interference in the activities of NGOs is prohibited by the law. The town authorities also refused to assist the Young Front in finding premises for holding a constituent assembly by the organization’s local office. At the same time the founders of the movement were warned that holding an illegal congress would be viewed as violation of the Law on Mass Actions and may result in administrative or criminal prosecution. 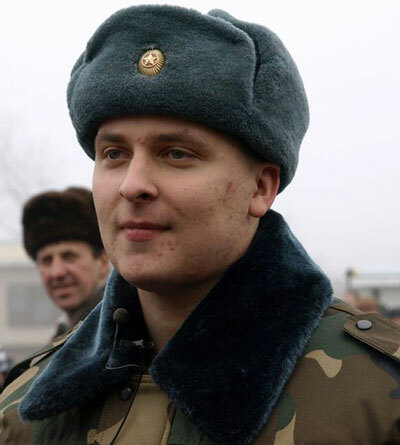 Leader of “The Youth of BPF” Franak Vyachorka is to be taken to military hospital in Minsk where it will be decided whether he should stay in Minsk or be taken to hospital in Babruisk. Franak Vyachorka told it “Nasha Niva” newspaper on the phone. He said he had high blood pressure and problems with heart after physical exercises.